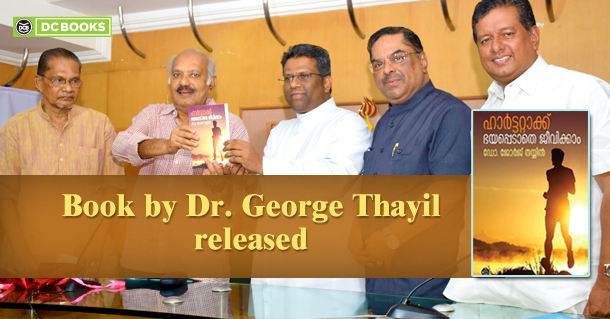 A recognized and respected cardiologist and the author of six acclaimed books on health and preventive medicine, Dr. George Thayil’s recent book was released on 22nd March 2019. The event was held in Ernakulam Press Club by veteran laureate of Malayalam literature, Sethu. The book was presented to Rev.Fr. Shaiju Augustine Thoppil, the director of Lourdes Hospital. Heart attack over the years has changed its meaning and cause. Being tagged as a lifestyle disease, preventing it requires a change in your lifestyle is the resounding theme in his previously published books. Published by DC Books in 2007, “Heart Attack: Bhayappedathe Jeevikkam”, had received the Kudumbadheepam award in 2008. The new edition of the book includes inferences based on the latest research in the field of cardiology and preventive medicine. It aims to provide a well-documented account to create awareness for freeing us from the grip of something which could turn an epidemic if not taken care of.